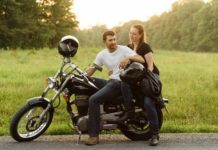 For bikers, riding a motorcycle is a way of life and great passion. 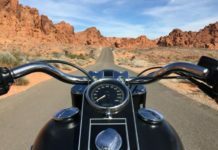 While one likes to reach high speeds and feel adrenaline, others prefer a light ride. But sometimes accidents can happen that can be very unpleasant. 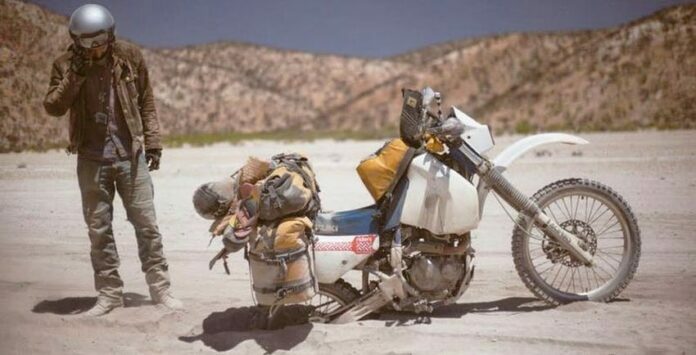 For example , you can get stuck on a motorcycle and it can be very difficult to get out of this situation. 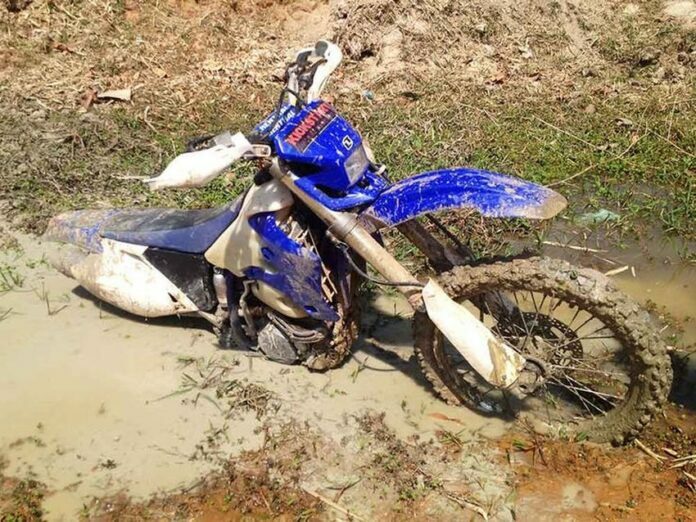 That’s why we prepared the 18 most weird ways the motorcycles captured, from mud to water. So let’s start. Everyone knows what Dakar Relief is. It is a race that takes place every year in South America and is probably the most demanding, the hardest and most brutal race in the world. 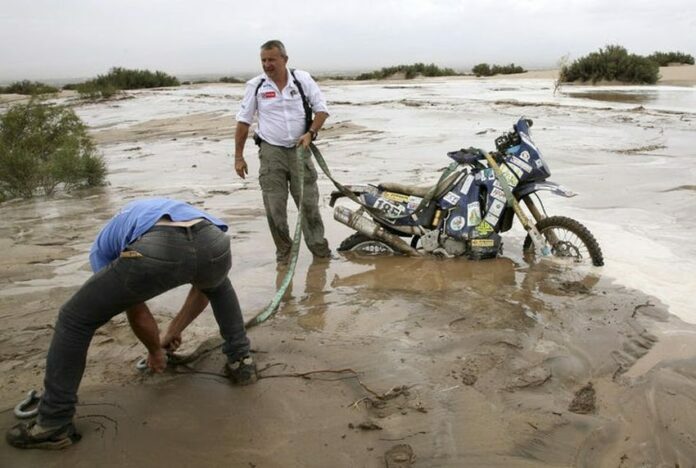 It is known that competitors face various challenges, from sand storms to water and mud. 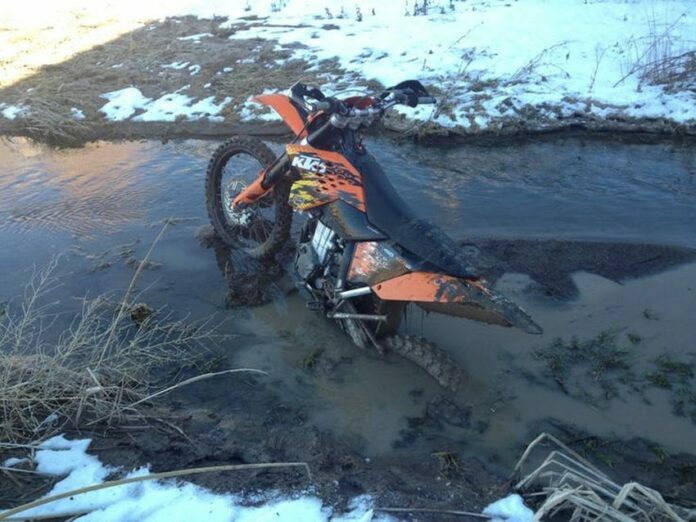 In this case, the problem was the mud that captured the bike. 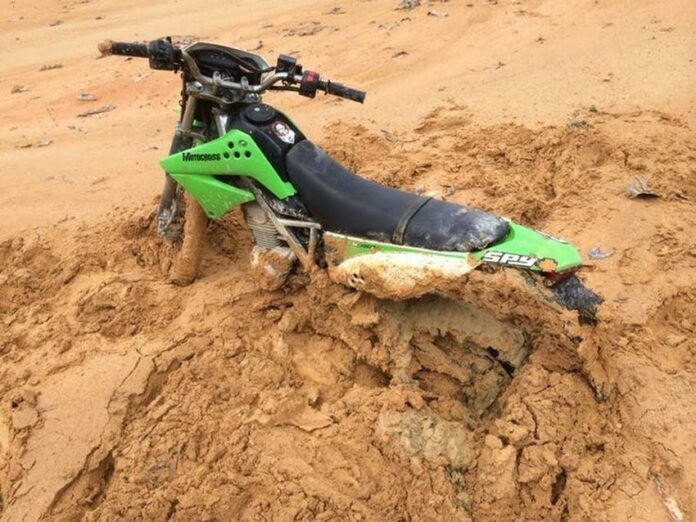 A big problem for riders is the mud that can easily capture their vehicle. It just needs to be avoided. 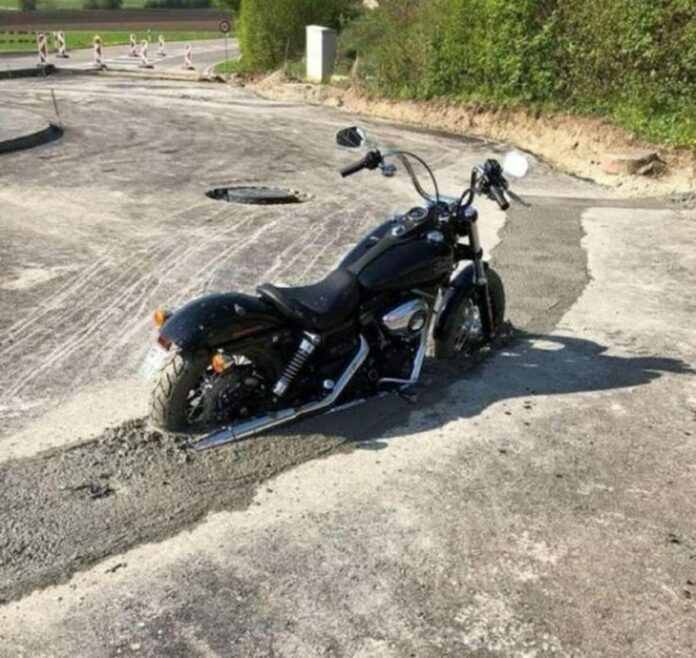 But, even if something like this happens, it is necessary to remove the motorcycle as soon as possible, because, later will be much harder. Sometimes, drivers risk too much to feel the adrenaline and to enjoy their off-road machines. But is it really worth the risk? 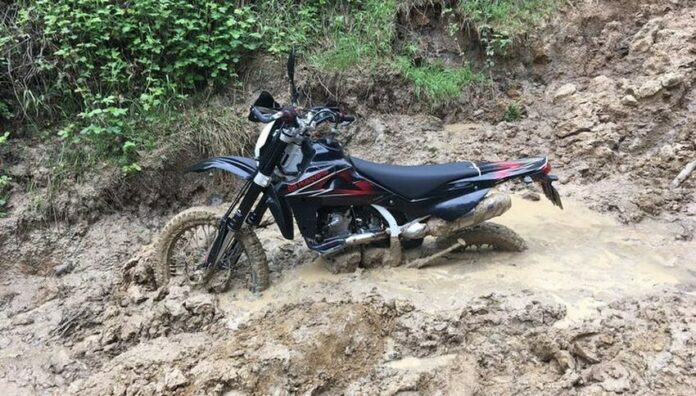 As we have already mentioned earlier, motorcycles and mud are not friends. Therefore, it is logical that it should be avoided as much as possible. This driver obviously did not do that, so he has a great problems getting his vehicle out. Drivers can sometimes find it difficult to estimate the road ahead. Anyway, as in the previous case, sand is not very good for their motors. Simply, it’s necessary to remember that if you do not want to have problems during the off-road adventure. Again, a difficult situation due to the driver’s poor assessment of the terrain. In such situations, the most important thing is to quickly get the vehicle out. 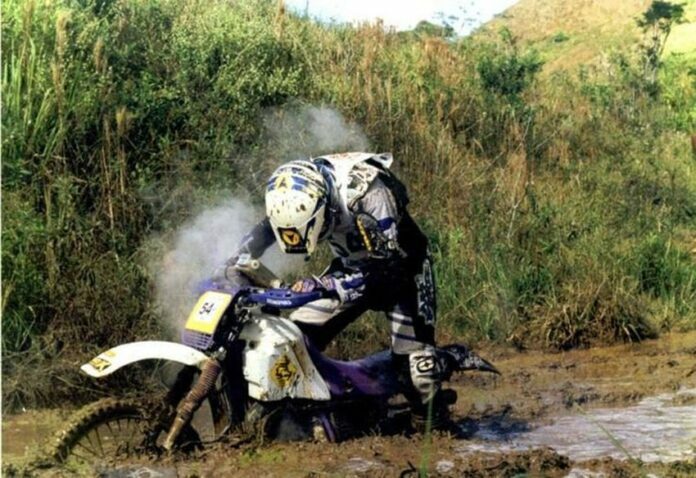 An off-road ride can be very exciting. But, if there are unplanned problems, then the fun is over. 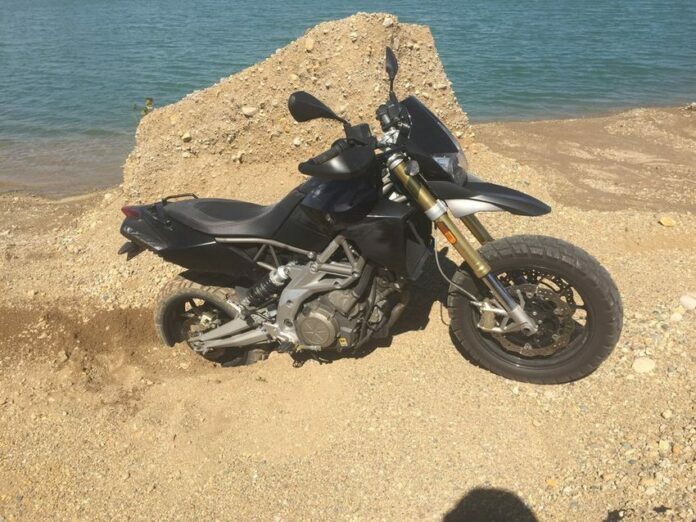 On the picture we see that the biker was driving in wet sand that captured the bike. The streets are completely flooded and no one dares to ride in the water, and no one is crazy enough to do something like that. But this local hero exactly did that. 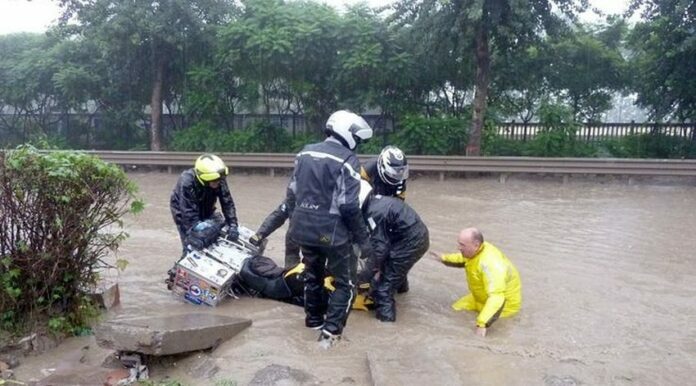 Now the main question is whether his motorcycle will work when it is taken out of the water. We do not understand why is it so difficult to avoid mud and wet sand. 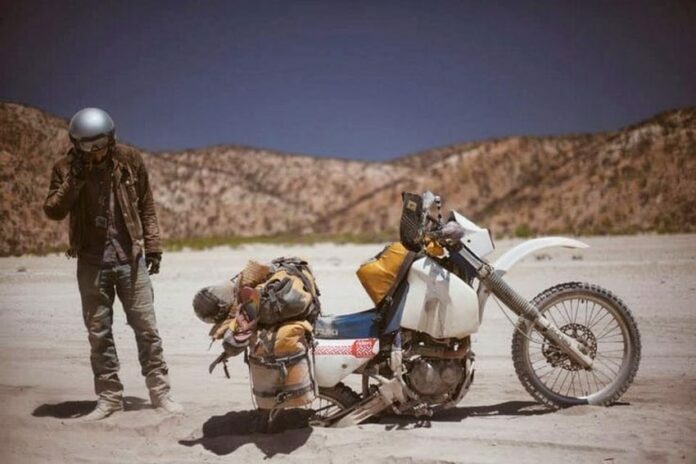 It is probably an unforgettable experience for every biker and something that can not be resisted. But then, there are problems, just like in this case. In the Far East there are many people who like to drive their bikes. But they often face poor weather conditions, especially heavy rain. 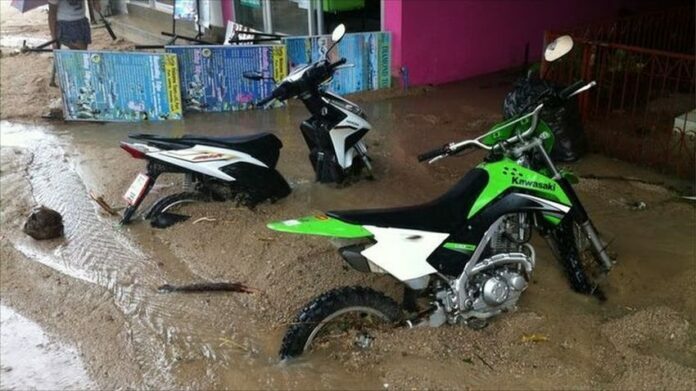 In the picture we see two motorcycles that are jammed in sand and mud due to flood. But this also has its good sides, owners now do not have to wash them. 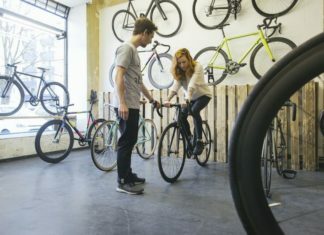 It is known that motors are a great passion for every bike enthusiast, and that they invest a lot of money on their maintenance. Some even have garages in which they protect them from the sun and other influences that can cause damage. 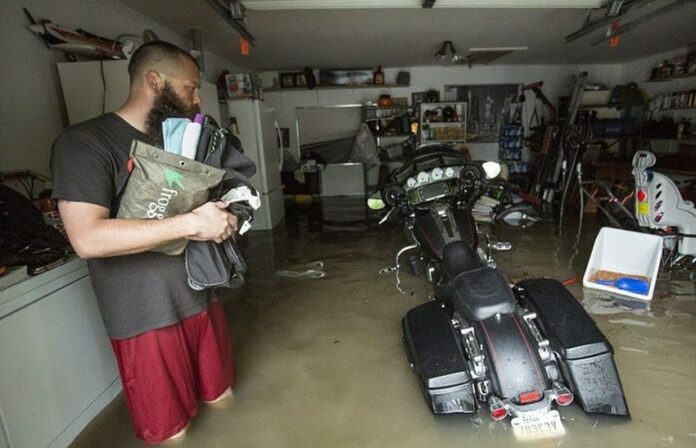 Unfortunately, if a flood occurs, even the garage will not help. 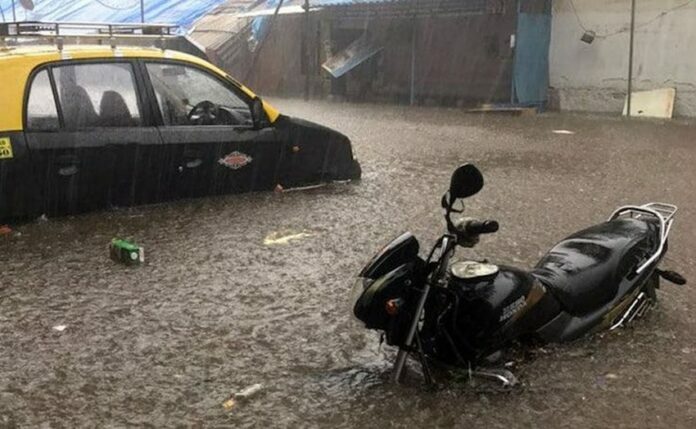 As we have already mentioned, rain and floods are a major problem for any motor and car enthusiast, especially in some Asian countries. A large number of cars and bikes remain trapped in water. But the damage done to them is small compared to some people losing their homes, which is a great tragedy. This is precisely the example of what we talked about in the previous part of the text. 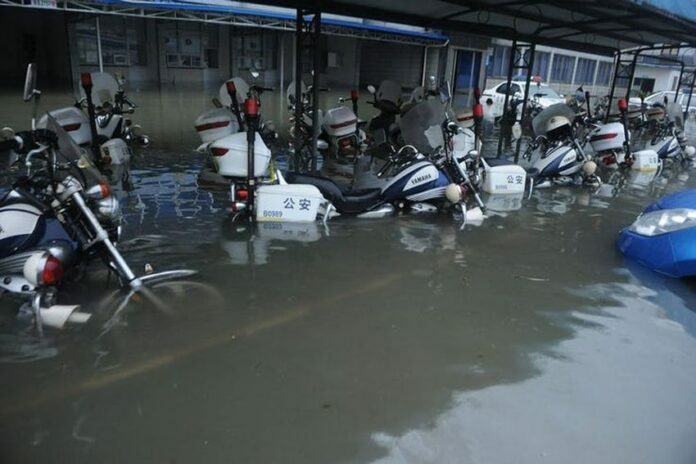 A large number of police vehicles have been captured and damaged in floods. This is unfortunately the usual picture of countries in which monsoon rains fall. So much of the empty space, and this smart driver had to park in fresh concrete. Indeed, here every comment is excessive. We pass from the water to the heights. 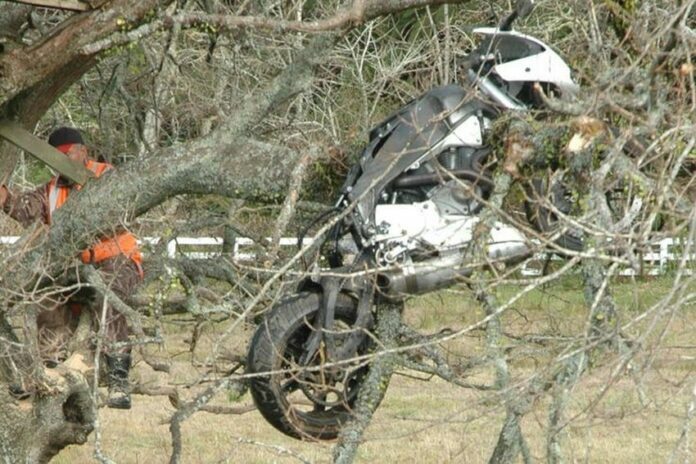 In the picture we see the motorcycle that is stuck in the branches of the tree. The driver who did this, drove up the hill and then landed off the road. We can say that he had a lot of luck. 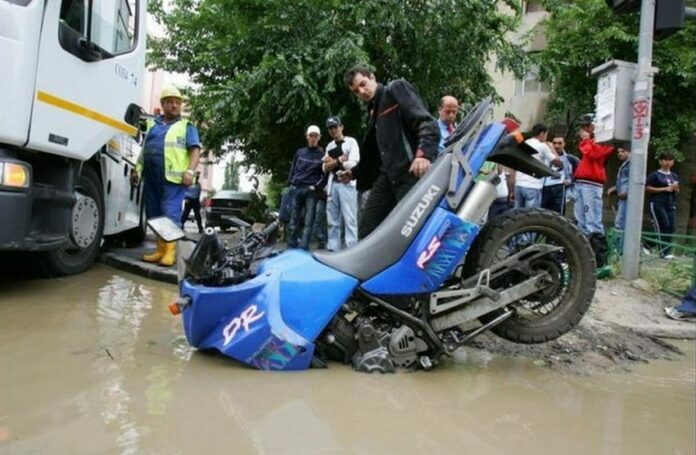 We have already mentioned that it is very difficult for bikers to evaluate the road ahead, especially if they are on the road covered with water and with a lot of holes. This driver had this problem, and he did not see a hole on the road. 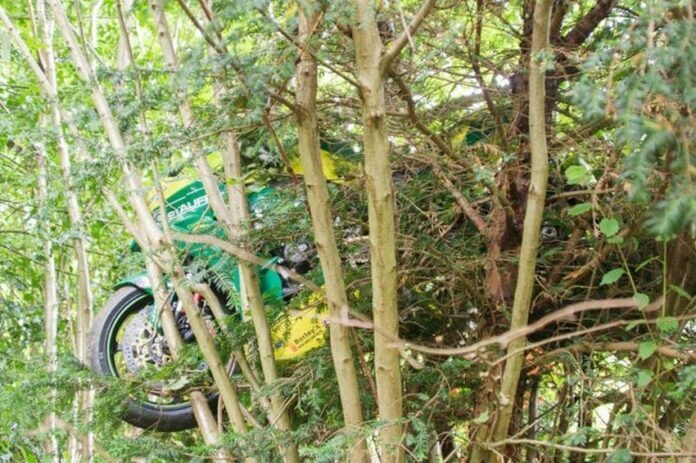 The unrealistic situation in which the driver managed to climb a motorcycle on a tree. He also needed the help of other people who had to cut the branches in order to remove the bike from the tree. For the end perhaps the strangest picture of all. 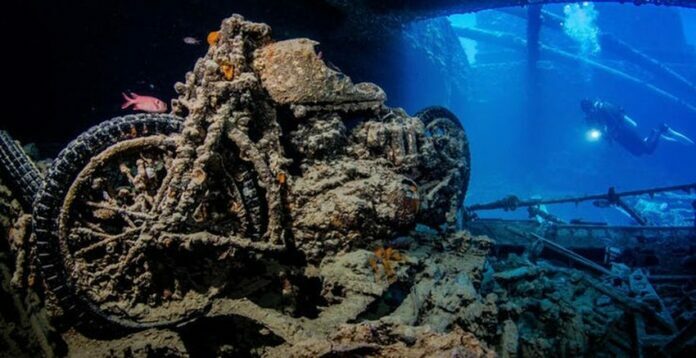 This motorcycle remained trapped underwater after World War II and no one wanted to pull it out. In this way there is something artistic in this bike, because it resembles exhibits in the museum.